For 16 performances only, Japanese Superstar Ryoko Yonekura will return to the Broadway production of Chicago in the role of Roxie Hart. Back by popular demand, Yonekura will dazzle audiences at Broadway’s Ambassador Theatre from July 1 to July 14, 2019. Yonekura originated the role of “Roxie Hart” in the Japanese-language production of Chicago in 2008. She returned to the role in 2010, and then made her Broadway debut as Roxie in 2012, learning the part of the killer-diller murderess entirely in English. Following her run in New York, Yonekura will join the Chicago U.S. national touring company, opposite Amra-Faye Wright as Velma Kelly which is Japan-bound. She will perform for limited engagements in Osaka (August 1-4, 2019 at the Orix Theater) and in Tokyo (August 7-18, 2019 at the TOKYU THEATRE Orb). Ryoko Yonekura is a star of Japanese television where she is well-known for her role in Doctor X: Surgeon Michiko Daimon from 2012 to 2017. She earned the prestigious Hashida Award for her work. other theater credits include Scarlet O’Hara in Gone With The Wind (Kazuo Kikuta Drama Award winner) and Motoko Haraguchi in Kurokawa no Techo. Her film and TV credits include Reiko Usagi in The Negotiator, Matsuko Matsudaira in Nasake no Onna, Itsuki Takamura in Monster Parent, Nobuko Sawaguchi in Kaseifu wa Mita and Shoko Takanashi in Legal V and other. The record-breaking production of Chicago, which opened on Broadway in 1997, is currently Broadway’s longest-running revival. With a jazzy score by the composing team of Kander and Ebb, and a sassy book by Ebb and director-choreographer Bob Fosse, Chicago originally opened on Broadway in 1975, running 936 performances. The ’97 production, which was the winner of six 1997 Tony Awards including Best Musical Revival, is produced by Barry and Fran Weissler. 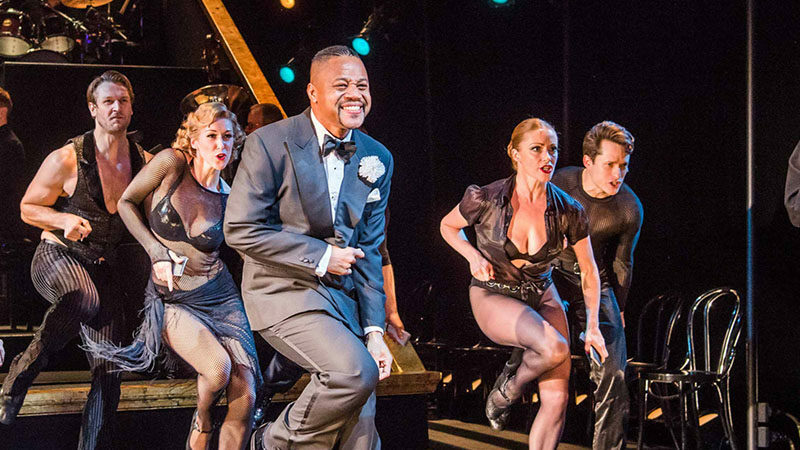 Chicago currently stars Tony Award nominee Charlotte d’Amboise as Roxie Hart, stage sensation Amra-Faye Wright as Velma Kelly, Academy Award-winner Cuba Gooding Jr. as Billy Flynn (thru February 10th), Raymond Bokhour as Amos Hart, NaTasha Yvette Williams as Matron “Mama” Morton and R. Lowe as Mary Sunshine.